Having dabbled in the short Moss demo that was part of the new PSVR Demo Disk collection a while back, I knew it was going to be something special. Now, having played through the full game, my expectations were definitely justified. Read on to find out what we thought of Polyarc’s Moss for Playstation VR. 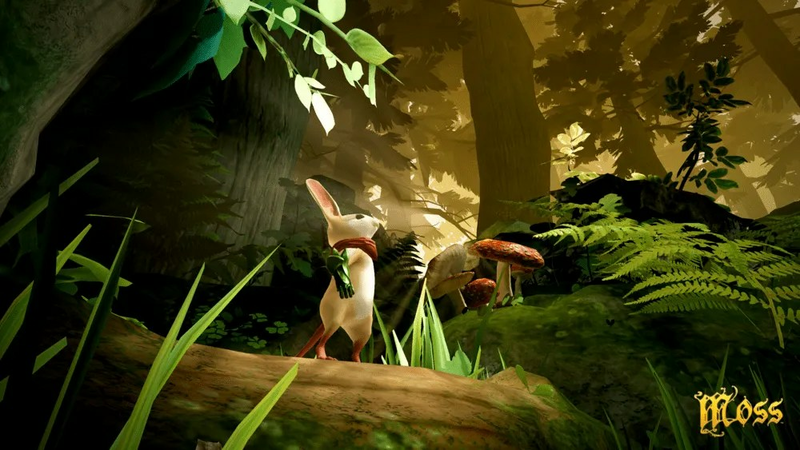 Created by Polyarc Games, Moss is probably the first, definitive ‘must buy’ PS VR title out right now. 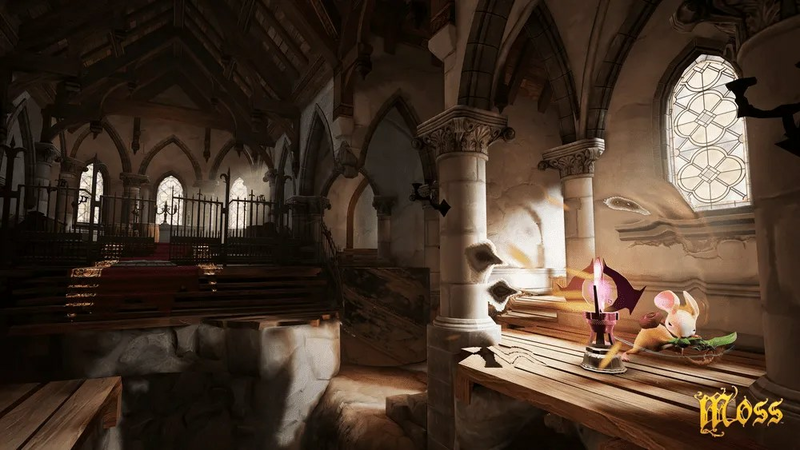 This game not only benefits from being on Sony’s virtual reality headset, it absolute needed the world of VR to allow it to shine in the way that it does. For most VR experiences, the aim to is to place the user ‘into the world’. With Moss, the feeling of immersion is unparalleled to any other VR title I’ve played. You take on the role of ‘The Reader’ and it’s your job to help guide your trusty mouse companion, Quill, on her journey. She’s a plucky little thing and is well able to fend for herself against her beetle foes. Visually, Moss is like stepping into a Disney fairytale with an incredible attention to detail and some gorgeous level design. 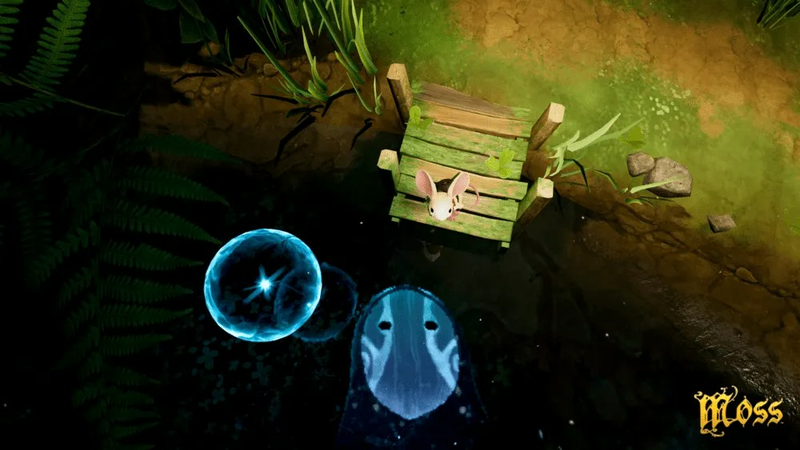 The lighting and musical score must also be commended for how they compliment the over look and feel of the game and it’s easy to get lost in Quill’s world once you don the VR headset. The world is also teeming with life. From microscopic flies, to giant babbling brooks, it doesn’t take long to get enveloped in the adventure. The animation quality is also fantastic and each of Quill’s little nuances and movements only bring her to life even more. The gameplay is extremely intuitive and works perfect in VR as you use the Dualshock 4 controller to not only control Quill’s actions and movements but also physically manipulate and alter the world around her. As you progress through the game, you being more and more protective of your little adventurer. You’re also in-charge of keeping Quill alive during battles by physically reaching into the fight with your controller and holding one of the shoulder buttons to administer a healing jolt of light. With almost full overview of each of the levels and puzzles, you’re free to stand up, crouch down and even lean into the levels to find the best way to complete a given puzzle. Admittedly, the puzzles themselves are never really too taxing but they’re still complex enough that you feel a little sense of achievement each time you figure one out. In the end, when you put all of this together, you get what Polyarc Games set out to achieve; full immersion and engagement and if that’s not a successful VR game, I don’t know what is. 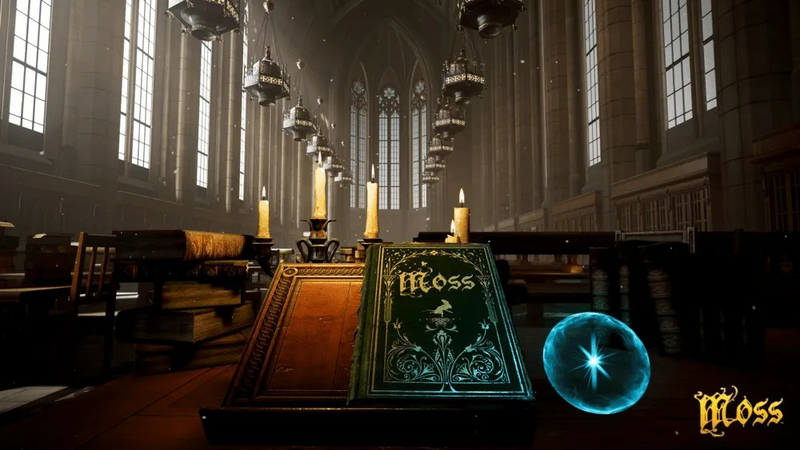 Their creativity, artistry and dedication to the medium really is fantastic and I firmly believe that Moss will be seen as a benchmark for what can be achieved in a VR adventure game going forward. Moss is definitely one of the first, if not only, PSVR game that I’d call a must play. Congratulations to the team at Polyarc Games for creating something truly special. In the end, when you put all of this together, you get what Polyarc Games set out to achieve; full immersion and engagement and if that's not a successful VR game, I don't know what is. 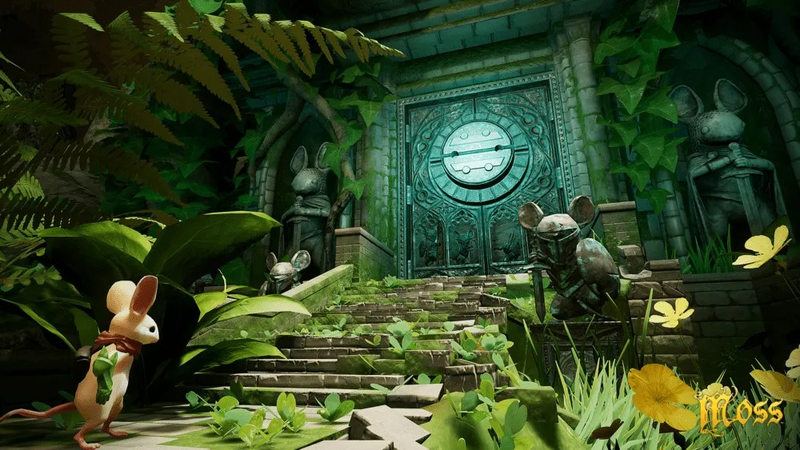 Their creativity, artistry and dedication to the medium really is fantastic and I firmly believe that Moss will be seen as a benchmark going forward for what can be achieved in a VR adventure game.